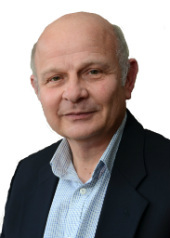 Alan Rance are a locally based independent surveying practice, assisting buyers in Tring and its surrounding towns and villages. 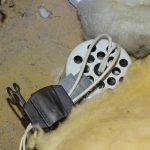 Working with over 25 years’ experience, our team offers a range of professional services, including Home Condition Surveys, Building Surveys and Energy Performance Certificates, always providing clients with the best possible value. Nestled among the Chiltern Hills on the western edges of Hertfordshire, the market town of Tring is home to just under 12,000 people. With its pretty streets and beautiful countryside, Tring is ideal for those wanting to live outside of London, while still needing to commute into the city. Trains to the capital take just 40 minutes, and the A41 can take you to the M25 and M1 in 20 minutes. Property values in Tring have suffered slightly from the rocky financial year, with average prices down 2.25%. However, this is unusual for the area, and market performance has started to bounce back over the last quarter. If you are looking for a new family home in Tring or the surrounding villages then now could be a wise time to invest, but be cautious and make the most of a professional to ensure you are getting the best value for your money. “With over 30 years of surveying experience and local area knowledge, our team are perfectly positioned to assess any property in the Tring, Berkhamsted or Chesham area. I’m proud to have delivered a professional service to countless local clients, helping them to make an informed decision about their new home or business premises. Mortgage Valuations are a common requirement from lenders when making an offer on a property; however, these should not be confused with a Home Condition Survey. The Mortgage Valuation only serves to confirm the value of the property to the lender, and has no obligation to comment upon any part of the property’s condition, for better or worse. You may feel like you have the measure of a property from your viewings, but there is only so much that the inexperienced eye will notice, or know to look for. 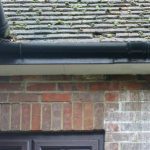 Once you take ownership of the building any hidden defects become your responsibility, and buyers can spend thousands rectifying issues which could have been revealed by a professional Home Condition Survey. A qualified surveyor will not only identify property defects but establish how serious they are, and the requirements for setting them right. As a buyer, you stand to save yourself from costly and stressful problems after the sale by using the Home Condition Survey findings to re-negotiate with the vendor before exchanging contracts. WHAT IS A HOME CONDITION SURVEY? Our Home Condition Surveys consist of a full inspection of the property, covering every visible and accessible area. The surveyor’s findings will be listed in a comprehensive, easy-to-follow report, making any concerns clear and offering expert advice about how to deal with them. The entire process is designed to give our customers a thorough understanding of the property, and support their decision to proceed, re-negotiate or walk away from a purchase. Our Home Condition Surveys are performed by one of our experienced Residential Property Surveyors. They are SAVA or BRE certified, and undergo regular auditing to ensure our customers the highest quality service, every time. With local expertise and training to the most current standards, you can be confident when choosing an Alan Rance Surveyor. WHAT DOES THE HCS INCLUDE? Property on the Grove Estate in Tring. Detached 1940. 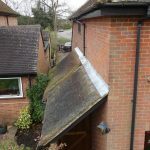 This property was suffering with lack of supporting lintels over the windows and expansion of the brickwork under the garage window as the brickwork was cracking and dropping. Another classic was that the down lighters on the first floor had been fitted into the insulation in the loft space and not fitted with fire caps this means that the insulation is either moved away or is heated up by the insulation above leaving the possibility that a fire can occur these should be fitted with fire caps. 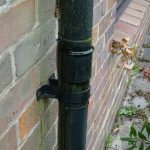 The downpipes at the front were allowing water to seep from the connectors up the wall this is either a clean out the down pipes or clean out the soak away. The tiles were broken on the side lean to which cannot be seen from the ground this is where the camera on a pole is invaluable and saves me saying I could not see this area! Each of our services is designed to help our clients stay informed about a property, whether it’s providing a current Energy Performance Certificate, or conducting a thorough survey of a potential new home. 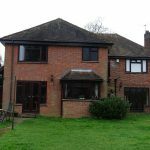 If you need a professional surveyor in the Tring area, don’t hesitate to contact us to arrange the best value services for your home. You can talk to one of our friendly team on 01525 220786, send your enquiry via email at alan@building-surveyors.co, or complete the form below, and we will get back to you as soon as possible. We look forward to hearing from you soon.